We can help you see results in as little as three sessions. We provide you with personalized therapy that employs the most up-to-date psychological techniques and approaches that have been shown to be effective in producing and enhancing your well-being. You can have every confidence that within three sessions you will feel noticeably better and have a clear personalized action plan to manage or solve your immediate difficulties. Generally as few as 4 to 6 sessions will get you well on your way to solving most issues. However, we also provide longer term treatments for those with more complicated histories or those wanting to address more in-depth issues. The services at Clear Path Solutions services are overseen by Dr. Saunders, a senior psychologist with more than 20 years of experience in therapy and counselling of individuals, couples and adult families. Our goal is to to build long term relationships with our clients so that once this course of treatment is completed, should you decide to seek additional assistance in the future, our services are available to you. 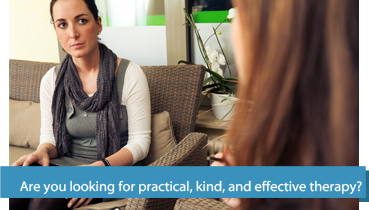 Our approach to psychotherapy is practical, compassionate and results-focused. We offer specialized therapies for adolescents, adults, couples and adult families. We measure our effectiveness and have proof that our therapists and counsellors are effective. People who have never visited a psychologist or counsellor before may be unsure on what to expect. When you call our office, you will be connected to our receptionist. If you are calling to schedule an initial appointment, you will be transferred to an intake coordinator. If the office is closed, you may be connected to our voice mailbox and prompted to leave a voice message. If you clearly provide your name, the time and date of your call, and a number where you can reached, we will respond the same day or within 24 hours. If you submitted a ‘request an appointment’ form online or left us a message, you will be contacted within 24 business hours of your request. When you speak to someone directly, they will ask you for basic contact information, a brief outline of your situation, the reasons that prompted your call, and your availability for an initial session. Generally we can arrange to see you within one to two weeks from the time you call. As with all sessions, we make every effort to suit your professional and personal needs in scheduling the initial session. Upon request, we are able to accommodate those with irregular availability.You will also receive a confirmation email outlining the date and time of your appointment once scheduled. When entering our clinic in suite 703, you will be greeted by our receptionist and prompted to take a seat in the seating area. Once seated and settled, the receptionist will offer you a beverage (water, tea, or coffee) and prompt you to complete some paperwork. Once you have completed your forms, your therapist will come out to greet you and to lead you into his or her office.